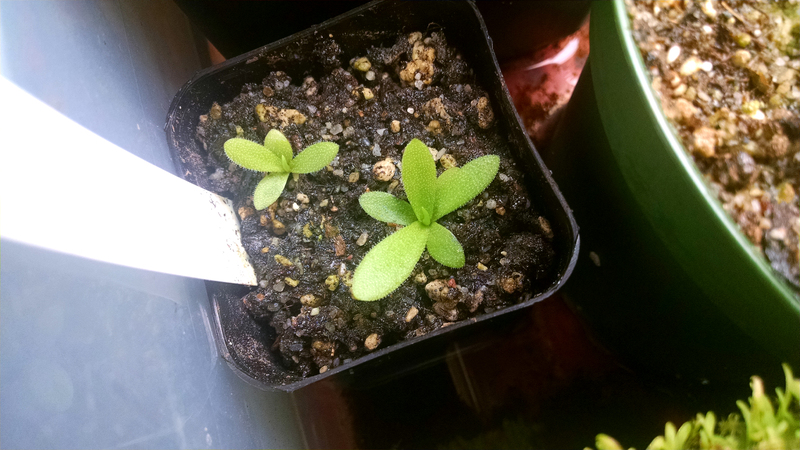 Pinguicula leaf pullings |Sundews Etc. 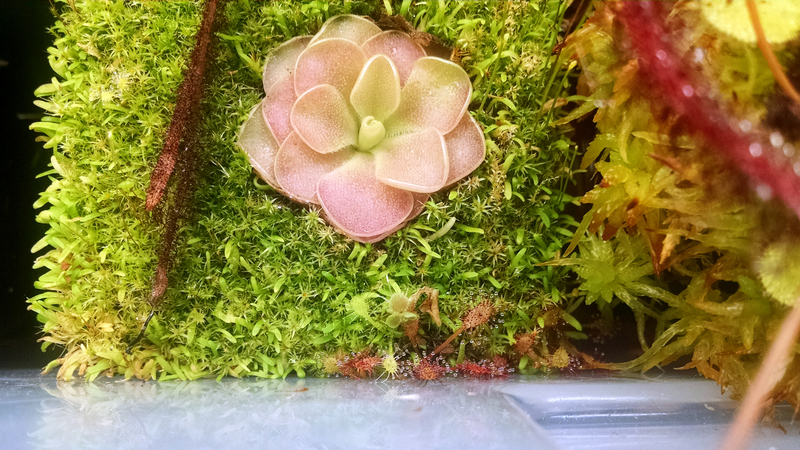 I just started some new leaf pullings on my Pinguicula. It's always good to be propagating, and pings (especially Mexican pings) are some of the easiest carnivores to propagate. Just take one of the newest leaves, pull gently until it pops out, and set it down somewhere. I usually just set it back down on the media in the pot where the mother plant lives. This apparently works best with succulent leaves, but plenty of people have had success with the carnivorous leaves as well. Yesterday I started new pulls of Pinguicula 'Pirouette', Pinguicula agnata, and Pinguicula gigantea. The color on this plant is wonderful. 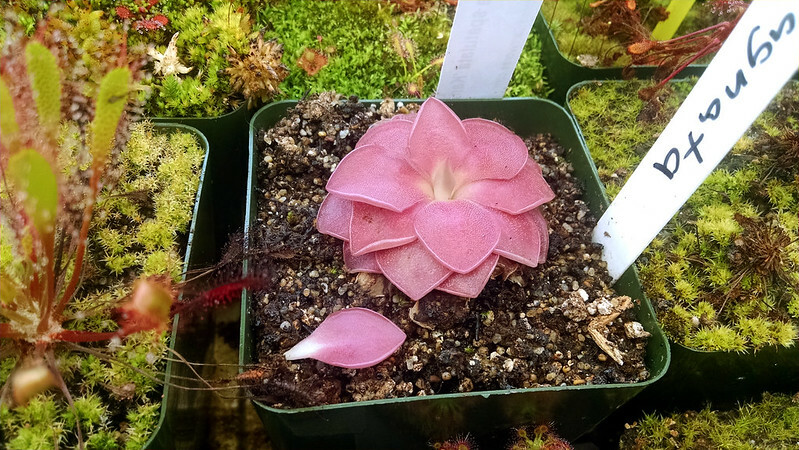 P. agnata doesn't get enough attention on this blog. I want to give a P. gigantea to all my friends. As you can see, I've done successful pullings of P. 'Pirouette' before. 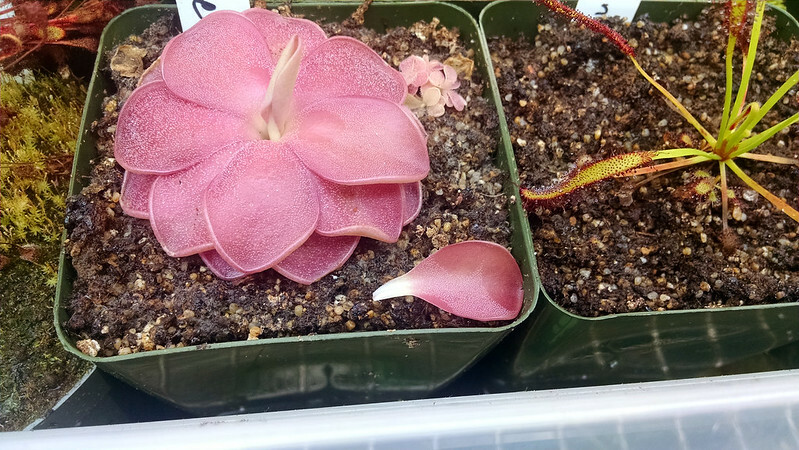 My last P. agnata pulling failed to strike, and I've never propagated P. gigantea before (intentionally). I'm looking forward to seeing how these turn out! 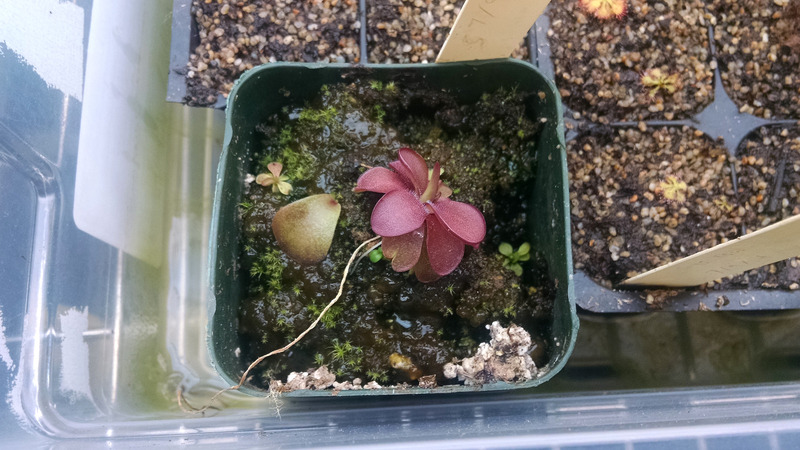 Back in March the Pinguicula moranensis I bought from California Carnivores (last July) went through a very brief succulent phase, so I did a pulling. It's coming along! This plant has come so far in the last 9 months! 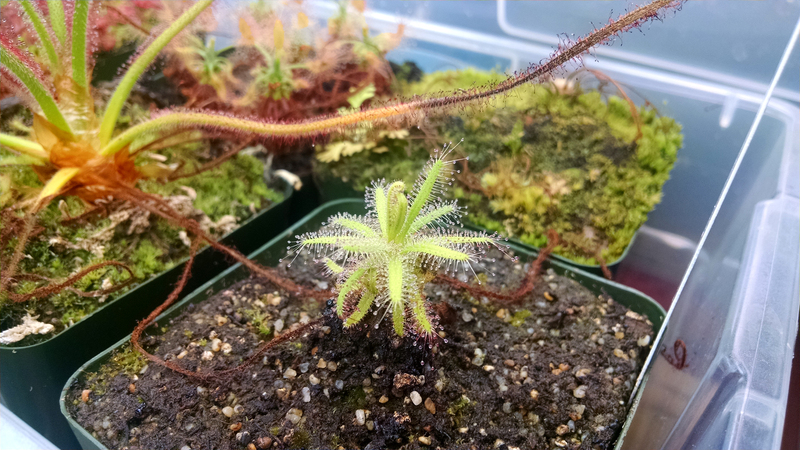 The plantlet is down at the bottom, tangling with some invading Drosera capensis red form. I think it's already started to root among the moss and Utricularia biquamata, which shows that it has gumption. I acquired this Pinguicula laueana back at the BACPS social in February (mentioned in this post). One leaf had fallen off already, and I did another pulling shortly thereafter. The resultant plants are on the right and left of the mother plant, respectively. The leaves have gotten nicely red under my lights as well. I also did a new pulling (that big leaf there) just a week or two ago, since it was growing in sort of funny. I hope it strikes too! 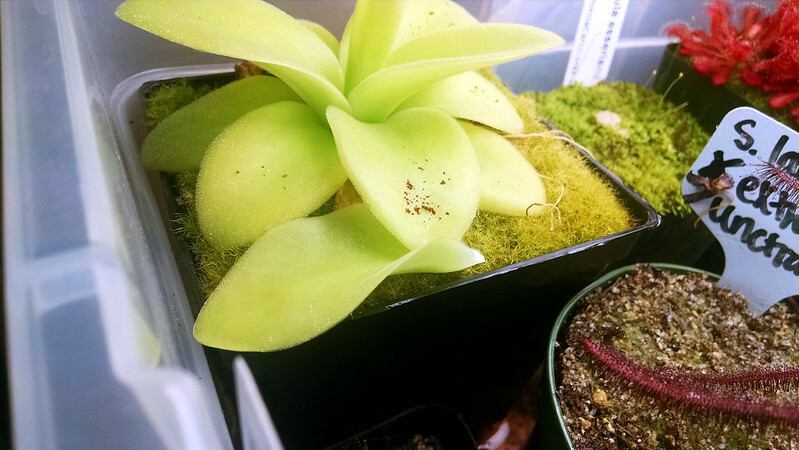 In other ping news, my friend Anne (the driving force behind the carnivore section at the Cactus Jungle in Berkeley) recently gave me this sweet little pot of Pinguicula gigantea × moctezumae. Anne and I have a very destructive relationship where we constantly convince each other to buy more carnivorous plants. The two plants in this cross couldn't be more different. Quite funny! Apparently she's had the mother plant for more than 10 years. That's pretty rad! I'm looking forward to growing these guys out. Finally, I've really come to adore Drosera cistiflora. It's popped out a bunch of new growth since its recent feeding, and isn't showing any signs of going dormant for the summer. Look at all that new growth. Great pics! I've gotta say the color on the Pirouette is stunning. I have 2 pings right now and don't seem to have much luck. I've had one of them for over a year and it has never looked good. I just put them into some new media and hoping for the best.